2019 Toyota RAV4 – prices, specs and release date | What Car? The Nissan Qashqai is often credited with being the first mainstream family SUV, but the Toyota RAV4 actually offered the same mix of rugged looks and hatch-like handling more than a decade earlier; the original RAV4 could even be specified without four-wheel drive if you cared more about cutting your fuel bills than cutting a swathe through the countryside. 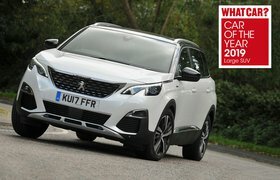 It’s a formula that the new fifth-generation car will stick to when it goes on sale in the UK early next year. However, Toyota is also promising that four-wheel drive versions will be more capable off-road than their predecessors. And in a sign of the times, the new RAV4 will be the first since that original car to not be offered with a diesel engine. At launch, buyers will instead be able to choose from new 2.0-litre petrol and 2.5-litre petrol-electric hybrid powertrains. Plus, a cheaper hybrid model is expected to be added to the range later, using either the 121bhp 1.8-litre set-up from the Prius or the 178bhp 2.0-litre that’s due to debut in next year’s new Auris hatchback. A little surprisingly, there are currently no plans to introduce a plug-in hybrid RAV4 to take on Mitsubishi’s popular Outlander PHEV. Toyota puts this down to the difficulty in getting the performance, pricing and market positioning of such a car right, but says that the technology would be easy to install when the time is right. Even without it, though, the new RAV4 should be an efficient choice, with the 2.5-litre hybrid likely to average almost 70mpg and emit less than 100g/km of CO2 in official tests. 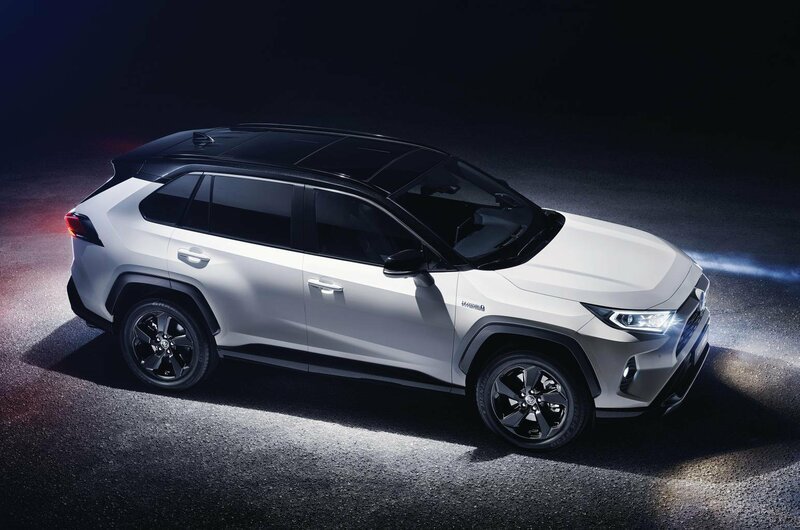 As is the norm these days, the new RAV4 has a more aggressive look than its predecessor and the front and rear axles have been positioned farther apart to increase interior space. However, while the car is also wider to make it more comfortable for three people to sit side-by-side in the back, it’s actually slightly shorter overall, so should be no harder to parallel park. Luggage capacity has been increased, and the boot features practical touches such as side nets to hold smaller items in place and a height-adjustable floor that levels out the load area when the rear seats are folded down. Meanwhile, in the passenger area, Toyota is promising a big improvement in perceived quality – something that’s desperately needed given how drab the current car’s interior is. 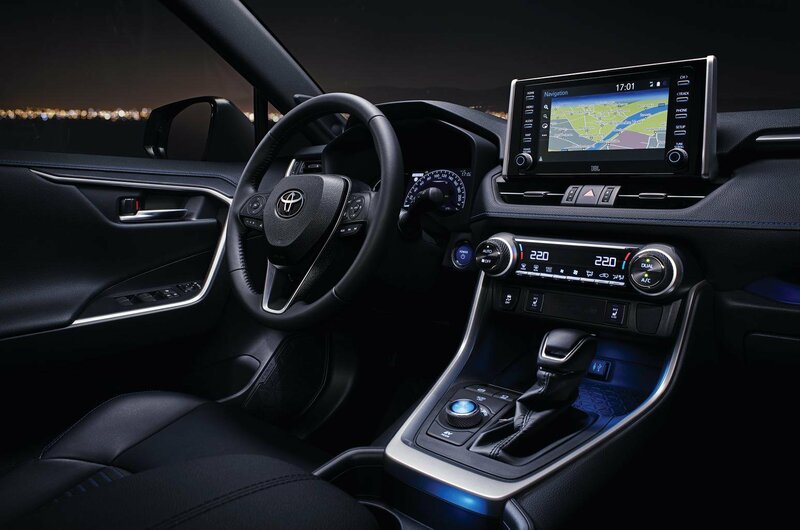 The new RAV4 also benefits from a large touchscreen that’s positioned high up on the dashboard so that you can always keep half an eye on the road while operating it. And it will be one of the first Toyotas to get Apple CarPlay smartphone mirroring, which is great news given that Toyota’s own infotainment menus have some fiddly icons that can be hard to hit on the move. Pricing for the new RAV4 is still to be confirmed, but we’d expect it to be similar to that of the current car, which costs from £27,495, simply because the SUV sector is so competitive. Indeed, even with no increase, the new RAV4 would have a higher starting price than the rival Mazda CX-5 and Peugeot 5008, both of which have earned our maximum five-star rating. The RAV4 will give you the reassurance of a five-year, 100,000-mile warranty, though, whereas Mazda and Peugeot offer only three years and 60,000 miles of cover. And like the smaller Toyota CH-R, the RAV4 should come with a long list of standard kit, including dual-zone climate control, automatic lights and wipers and adaptive cruise control. For many people, large SUVs like the RAV4 have replaced big saloons as the ultimate expression of modern motoring, and they make great family cars, thanks to their spacious and practical interiors. Here we count down our top 10 and name the models that are best avoided. 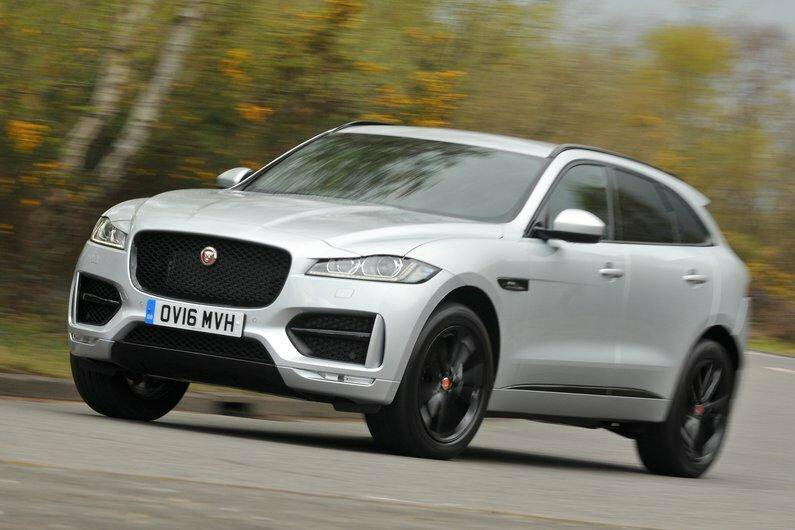 The F-Pace was Jaguar’s first foray into the world of SUVs, and can be had with a wide range of engines, including a frugal four-cylinder diesel and a riotous supercharged V6 petrol. Although it shares some of its oily bits with the Land Rover Discovery Sport, it’s sportier and more agile. Volvos used to be very much a step down from the models of Audi, BMW and Mercedes, both in terms of price and ability, but no longer. 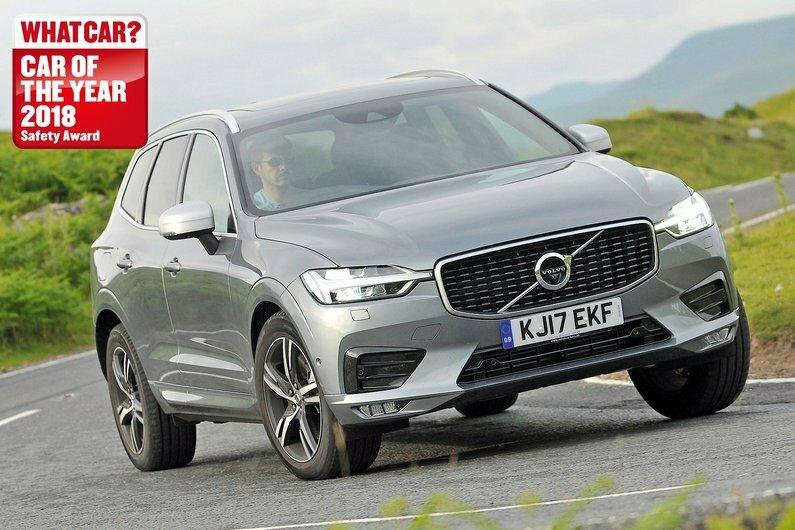 The latest XC60 is comfortable, well equipped and has a high-quality interior, plus it won the 2018 What Car? Safety Award, having performed brilliantly when it was crash tested by Euro NCAP.